Virat Kohli born on 5 November 1988 in Delhi.he is an Indian international cricketer who currently captain of the indian cricket team. Kohli is ranked one of world’s most famous athletes by ESPN and one of the most valuable athlete brands by Forbes.He plays for the Royal Challengers Bangalore (RCB) in the Indian Premier League (IPL) as the team captain since 2013.He captained India Under-19s team to victory at the 2008 Under-19 World Cup which held in Malaysia, and after few months later,he played ODI debut for India against Sri Lanka at the age of 19.he is mostly playing as middle-order batsmen and was part of the winning team that won the 2011 World Cup.Kohli also got success in the Twenty20 format, he was winning the Man of the Tournament twice at the ICC World Twenty20 in 2014 and 2016 for indian team.Since October 2017,Virat Kohli has also been the top-ranked ODI batsman in the world. Hashim Muhammad Amla is a right-handed batsman born on 31 March 1983.he is a South African cricketer who plays for South Africa in all formats of the game. Hashim Amla is also an off-break Bowler and he was South Africa’s Test captain since June 2014 to January 2016. he is also ranked by the International Cricket Council (ICC) as the world’s number nine batsman in Tests and the world number ten in ODI format. 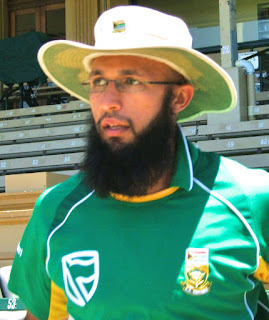 Hashim Amla was picked in 2016 by the Kings XI Punjab as a replacement for Shaun Marsh in IPL League.he has made his debut for his provincial team, the KwaZulu Natal Dolphins,after that he is captain of South Africa at the 2002 Under-19 Cricket World Cup in New Zealand, leading his team to the final.he has scored 600 runs in 16 matches, which included two centuries and three half-centuries in IPL series.In August 2017, he was named in a World XI to play three Twenty20 International matches against Pakistan in the 2017 Independence Cup which held at Lahore. AB de Villiers born on 17 February 1984 in Warmbad.he is a South African international cricketer, who also plays for Titans in South African domestic cricket and Royal Challengers Bangalore in the IPL. He has been rated as the number one batsman in Tests and ODI format.AB De Villiers holds so many batting records, including the world’s fastest ODI 50, 100 and 150, the fastest Test century by a South African and the fastest T20 International 50.He started his international career as a wicketkeeper-batsman, but has played mostly as a batsman.AB mostly played in all directions so he is also known as Mr.360.he made his international debut in a Test match format against England in 2004 and first played an ODI in 2005. 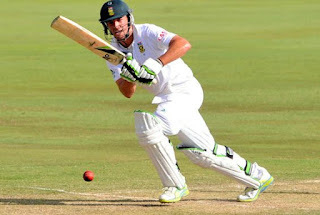 AB De Villiers was captain for South Africa in all Cricket formats, but due to his injuries are increses day by day, he stepped down from Test captain and continued in limited over cricket format.but after losing in the 2017 ICC Champions Trophy and England series, he stepped down from limited over captain as well. 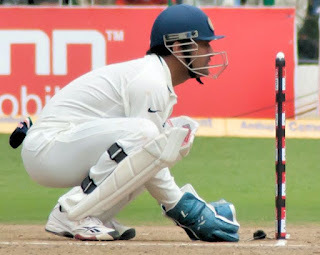 Mahendra Singh Dhoni commonly known as MS Dhoni born on 7 July 1981 in Ranchi,Bihar.he is an Indian International cricketer who captained the Indian team in limited-overs formats from 2007 to 2016 and in Test cricket from 2008 to 2014.he is middle-order batsman and wicket-keeper, he is widely famous for the greatest finishers in limited-overs cricket.He made his One Day International (ODI) debut in December 2004 against Bangladesh, and after one year he played his first Test against Sri Lanka.He is also popular for one of the best wicket-keepers in world due to his very fast wicket keeping skills.Dhoni holds so many captaincy records such as most wins by an Indian captain in Tests and ODI series and mostly back-to-back wins for india.he become ODI captain in 2007 after Rahul Dravid and led the team to its first-ever ODI series wins in Sri Lanka and New Zealand.Under Dhoni’s captaincy, India won the 2007 ICC World Twenty20, the CB Series of 2007–08, the 2010 Asia Cup, the 2011 ICC Cricket World Cup and the 2013 ICC Champions Trophy for team india.In the Indian Premier League, he become captain of Chennai Super Kings to victory at the 2010 and 2011 IPL seasons. 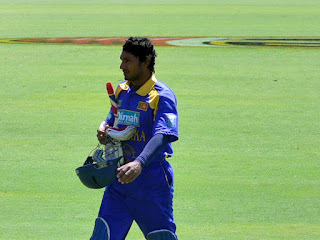 Kumar Chokshanada Sangakkara born on 27 October 1977 in Matale Sri lanka.he is a former Sri Lankan International cricketer and captain whom widely popular as one of the world’s most influential cricketers of all-time.Sangakkara holds so many batting records in the modern era across all formats of the cricket game.he has scored 28,016 runs in international cricket across all cricket formats in 15 years of his career.he is also left-handed top-order batsman, he is also a record-breaking popular wicket-keeper.Now, he is the second-highest run-scorer in ODI cricket format and the fifth-highest run scorer in Test cricket format.On 12 August 2015,he was placed at number 5 for world ICC Test rankings.Sangakkara main role was a key member of the team that won the 2014 ICC World Twenty20 and also part of the winning team that made the final of the 2007 Cricket World Cup, 2011 Cricket World Cup, 2009 ICC World Twenty20 and 2012 ICC World Twenty20.he won the Man of the Match award in the final of the 2014 ICC World Twenty20 for Sri Lanka.He has also won the ICC Cricketer of the Year in 2012, Test Cricketer of the Year in 2012, and ODI Cricketer of the Year so many times in 2011 and 2013.